Apple has ejected a number of VPN apps from its App Store over in China, including some big-name offerings from major providers, as VPN censorship takes another turn for the worse in the country. This happened at the weekend, when ExpressVPN and VyprVPN – two of our top-rated VPN providers – found their apps dumped from the Chinese store, along with StarVPN. Note that this is just for the App Store over in China, and these VPN apps still remain available elsewhere globally. Needless to say, the reaction from these companies was that of disappointment. The company further observed that “all major VPN apps for iOS” have been dumped from the App Store in China according to its research. A worrying prospect indeed, but not entirely surprising given the current climate in China. All we’ve been hearing over the past month is stories concerning how the government is set to clamp down on VPNs. First of all we heard whispers about an outright ban, followed by Chinese authorities clarifying that only ‘unapproved’ VPNs would be banned – apparently a category which the likes of ExpressVPN and VyprVPN fall under. Those two providers are actually the top two we recommend in our best VPN for China article, but there are other options in that feature for iOS users. 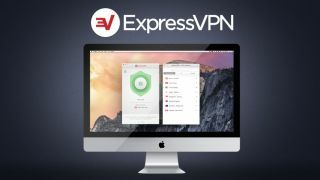 Although if ExpressVPN is correct, these could have been dumped – or be on the verge of suffering that fate – as well.